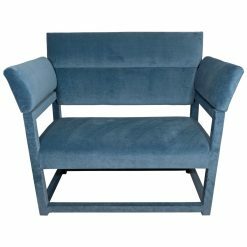 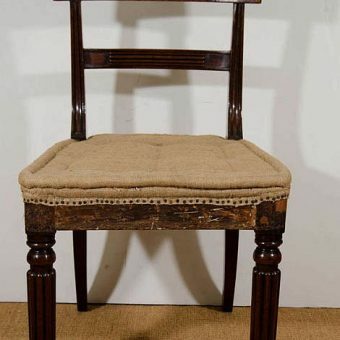 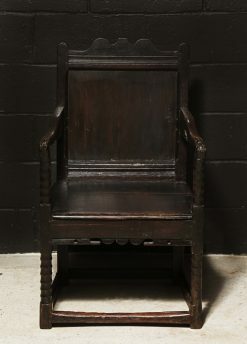 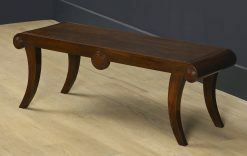 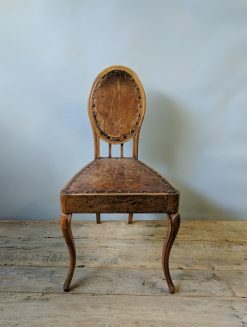 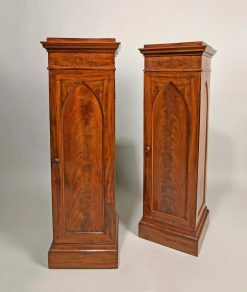 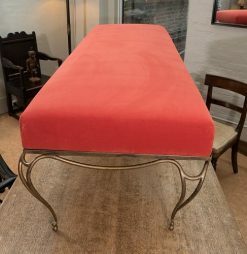 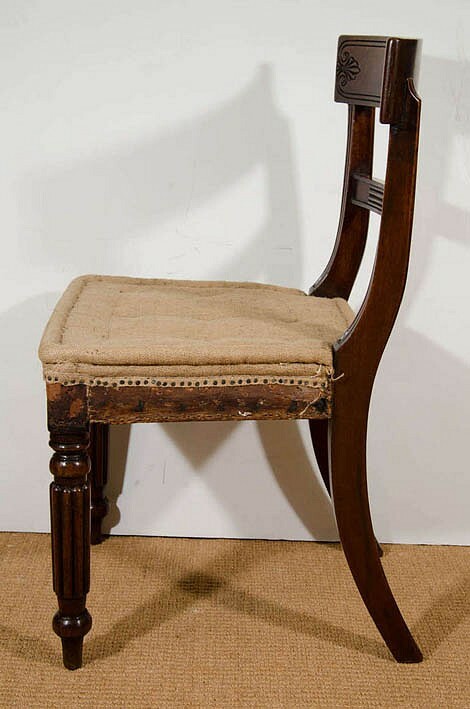 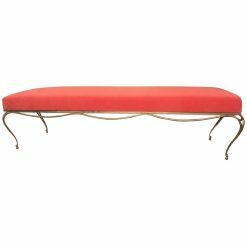 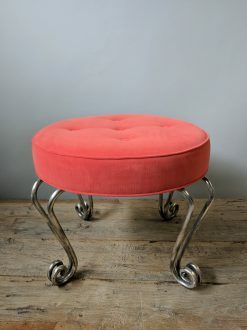 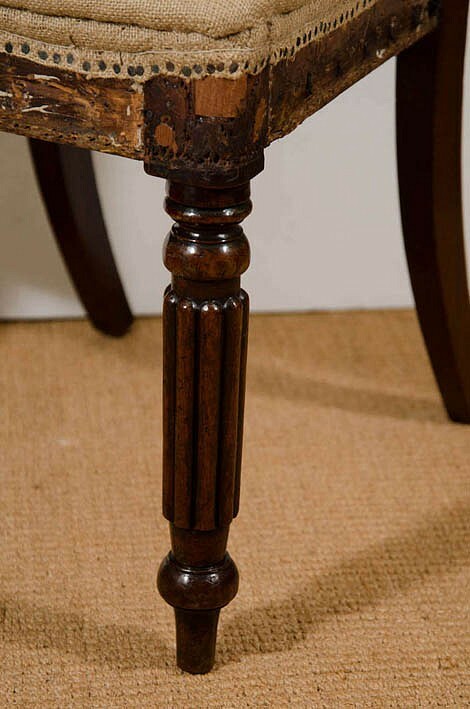 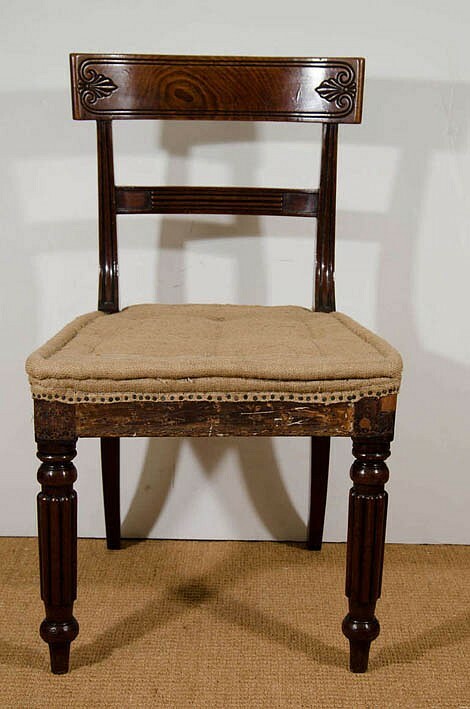 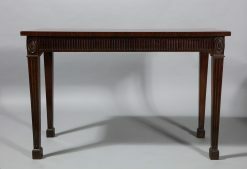 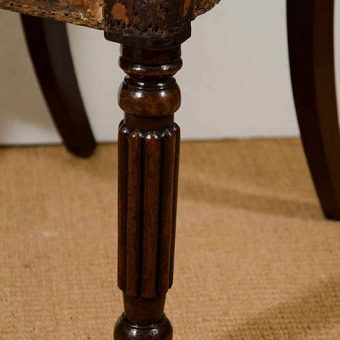 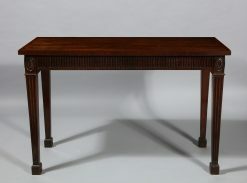 Each with a tablet top rail carved with anthemion on either side above a reeded horizontal splat and fluted uprights, on a stuffed close-nailed leather seat, above turned and reeded tapering front legs. 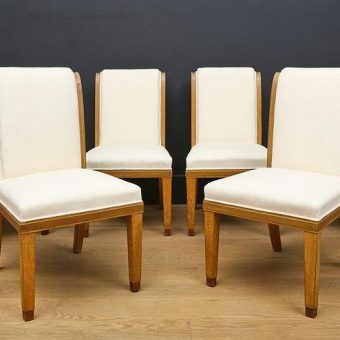 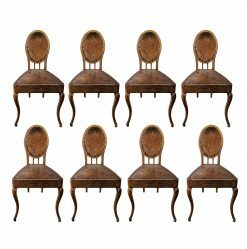 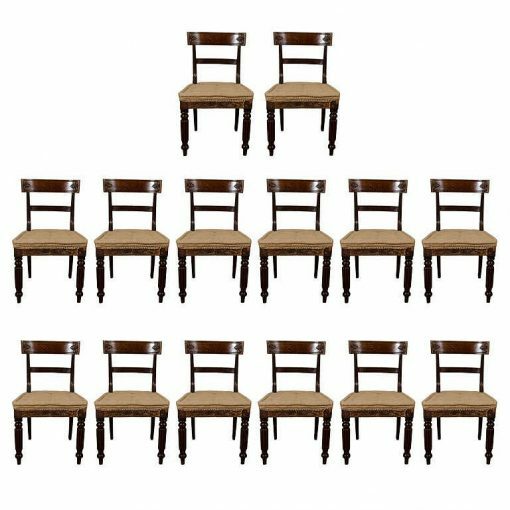 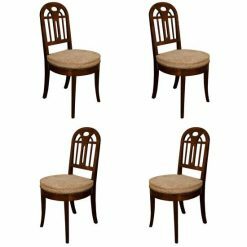 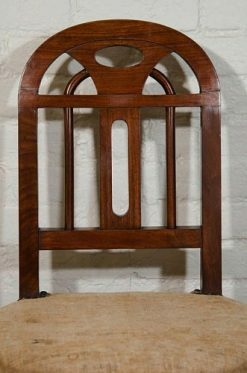 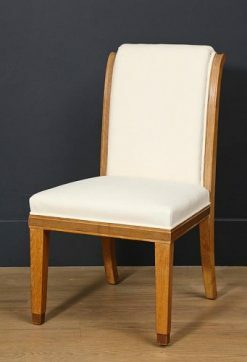 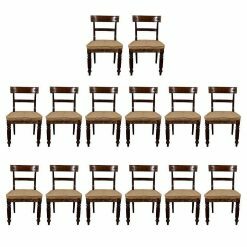 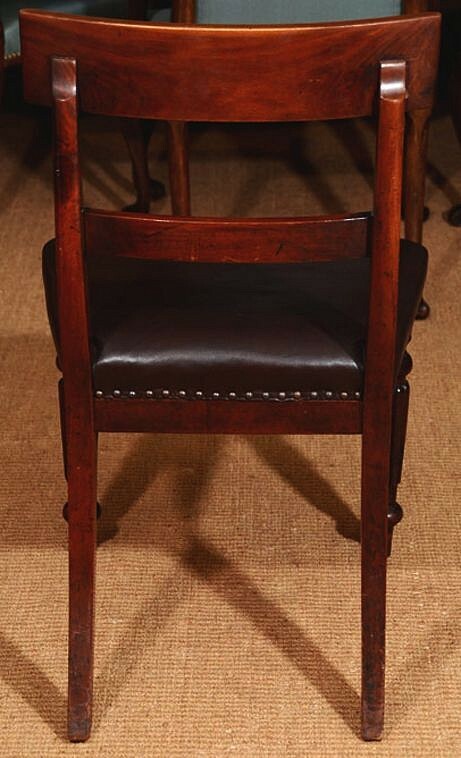 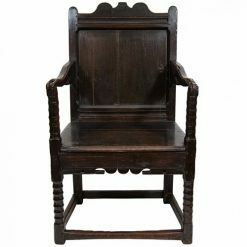 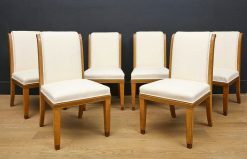 The overall design of this elegant set of dining chairs derives from designs for chairs in the ‘Greek-Revival’ style popularized by Thomas Hope in his Household Furniture and Decoration, published in 1807. 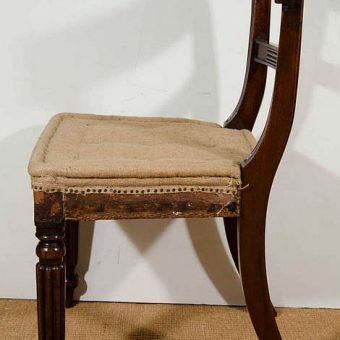 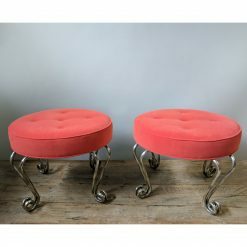 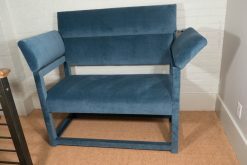 This set of chairs was removed from the Bath Assembly Rooms in Bath, England. 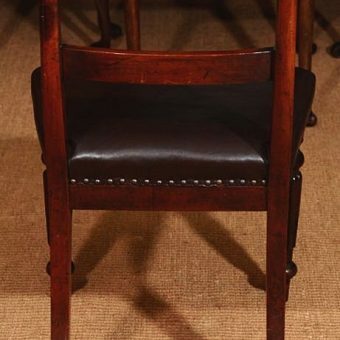 The Assembly Rooms at Bath are a series of elegant reception rooms designed by Robert Wood in 1769 for public entertainment, such as card playing, taking tea, and dancing. 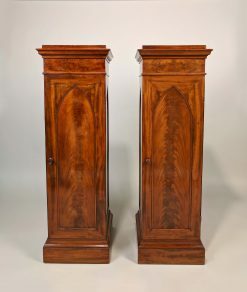 During the Georgian and Regency period these rooms were the main hub of fashionable society, and Jane Austen often referred to these rooms in her novels, such as Northanger Abbey and Persuasion. 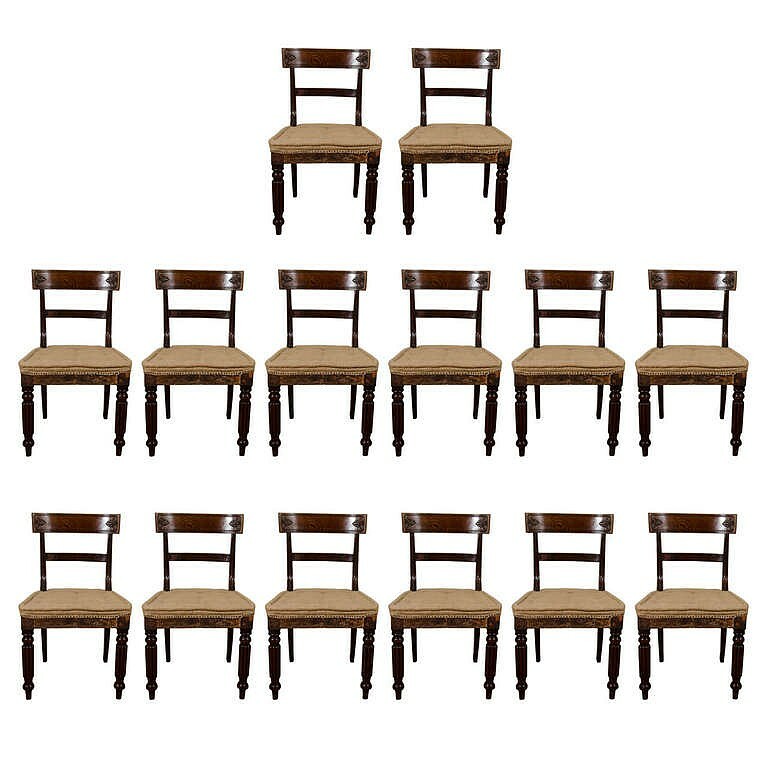 The Assembly Rooms today are listed as a Grade I building by English Heritage and are owned by the National Trust.